An elven pastor draws close to his much-awaited retirement. His human apprentice seems eager enough to take the reins, unburdened by the prejudice the sleepy river-town of Delster is capable of producing. Bear Kieren is a patient man, but he longs for the day when coddling and comforting humans is no longer his concern - until his goddess, the mighty mountain queen, Huil, rumbles to life during a late-winter storm, and Bear begins to suspect there's evil poisoning Her roots. Now villagers have gone missing, including Bear's own son and beloved niece. With the help of his warrior sister, his best friend Alaric the dwarf, and a strange, human man cursed by a witch, Bear delves deep into the mountain's twisted secrets, and begins to uncover some of his family's as well. 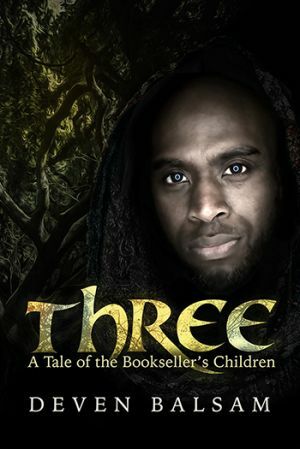 Three begins the trilogy of The Bookseller's Children.